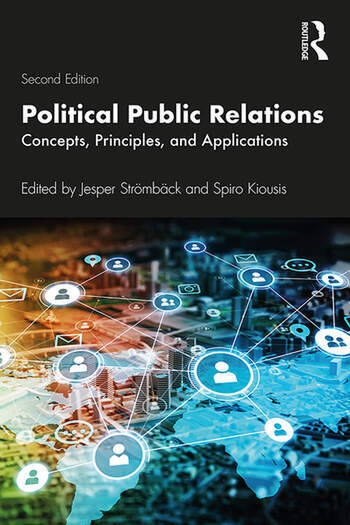 The second edition of Political Public Relations offers an interdisciplinary overview of the latest theory and research in the still emerging field of political public relations. The book continues its international orientation in order to fully contextualize the field amidst the various political and communication systems today. Existing chapters have been updated and new chapters added to reflect evolving trends such as the rise of digital and social media, increasing political polarization, and the growth of political populism. As a singular contribution to scholarship in public relations and political communication, this volume serves as an important catalyst for future theory and research. This volume is ideal for researchers and courses at the intersection of public relations, political communication, and political science. Jesper Strömbäck is Professor in Journalism and Political Communication at the Department of Journalism, Media and Communication at the University of Gothenburg, Sweden. Spiro Kiousis, Ph.D., APR is a professor of public relations and executive associate dean in the College of Journalism and Communications at the University of Florida.